The soaring price of textbooks concerns students every quarter. They are often very expensive and tough to resell for the amount paid. It will be music to students’ ears to hear that some colleges have turned to open source textbooks in order to provide learning and study material to students for free. However appealing that sounds as of now, it is farfetched to imagine it reaching a school the size of the University of California, Santa Barbara anytime soon. In certain states like Virginia and Maryland, community college reform group Achieving the Dream catalyzed an initiative to develop degree programs that use open source materials instead of traditional textbooks. That means students won’t have to spend a single penny on reading resources throughout their time in college, saving an estimated $1,300 per year, according to The Washington Post. Currently, 38 colleges spanning 13 states have this luxury, provided by the innovative education advocacy group. This initiative requires approximately $9.8 million to fund but has benefits far greater to just the students. Students who believe the cost of books to be too expensive or out of their budget will forgo purchasing a book entirely. This makes it more difficult for the professors to teach and will lead to an overall less stimulating and captivating learning environment with poorer performance and gaps in knowledge. With this in mind, education advocacy groups are pushing to supply more readily available textbooks at no cost to the students studying from them. What does this mean for students here? Unfortunately, not much. Although these numbers look encouraging, students have to keep in mind that these are small schools testing out a new process. It would take years for something like this to gain enough traction and funding to spread to big name schools. However, these baby steps are encouraging since they indicate to future learners, maybe a younger sibling or cousin of a current UCSB student, that there are already initiatives put in place to ease the high costs of college in years to come. According to a Huffington Post article, the price of books has increased tremendously over a few decades. They have “increased faster than tuition, health care costs and housing prices, all of which have risen faster than inflation.” Prices have risen an estimated 812 percent over the last 30 years. 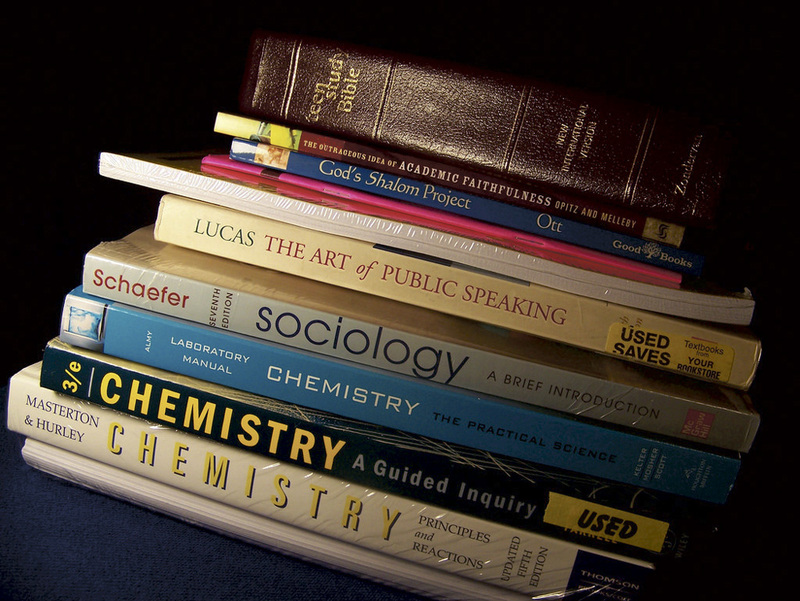 The College Board also lists the estimated annual cost for textbooks to be upwards of $1,168. Here at UCSB, there are many resources to mitigate this financial obstacle. First off, the Facebook pages UCSB Book Exchange and Free and for Sale (to name a few) allow students to buy, sell, and trade books in a convenient and safe manner. Sticking to the internet, there are many online resources that allow students to purchase or borrow books for a fraction of its retail value. Finally, the school library allows students to borrow books for no money whatsoever. Given all these different options to attain a textbook, there are many alternatives out there to combat increasing college costs. So even if something like open source materials or anything similar does not reach UCSB in the near future, students can sleep easy at night knowing there is ongoing mobilization to mitigate student expenses.